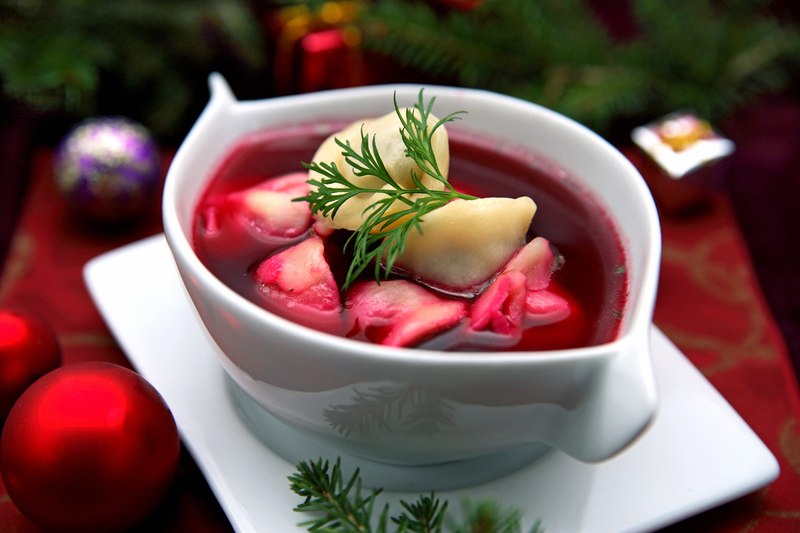 Borsht, or barszcz in Polish, is an umbrella term for several soups based on sour broth. It has been a part of Slavic culture since time immemorial, and it is just as popular as it was fourteen centuries ago. If barszcz was always eaten in Poland, it was not always prepared with beets. It was originally made from hogweed, which is also called barszcz in Polish. The soup was probably named after the plant. The original recipe required the hogweed to be soured like sauerkraut, which resulted in a pleasantly tart taste, much like with contemporary barszcz. In the 17th century Poles still ate hogweed barszcz – an aristocratic cookbook from the period includes a recipe seasoned with poppy seed and almonds. Over the years the meaning of the name evolved and today it encompasses a whole range of sour soups. The most common varieties are red barszcz, white barszcz, and Ukrainian barszcz ‒ which Poles generally regard as part of their own culinary heritage despite the imported name. Hogweed, on the other hand, is no longer consumed outside Slavic re-enactment festivals. The name ‘red barszcz’ or ‘clear barszcz’ typically used to describe a bright red broth flavoured with pickled beetroots. While it is a beautifully simple dish, its preparation is complex. First raw beetroots are cleaned, peeled and cut into pieces. Then they are mixed with warm water in a large jar or stoneware pot. Garlic cloves and a slice of sourdough wholemeal bread are added, and the pot is covered with a piece of wax or parchment paper with small holes poked in it. The container is left to rest in a warm, dry place. After about a week the pickling solution will have become sour and dark red: the perfect base for barszcz . This is mixed with a vegetable broth made from beetroots, celery, parsley, carrots and onions, seasoned with bay leaves, pepper and allspice. There should be slightly more of the broth than the base in the mix, otherwise the soup might be too tart. It can be served with small, boiled dumplings filled with meat or with a savoury pastry on the side. Poles have been making red barszcz for centuries, so there are a lot of recipes out there. It can be ordered in every restaurant serving Polish cuisine. 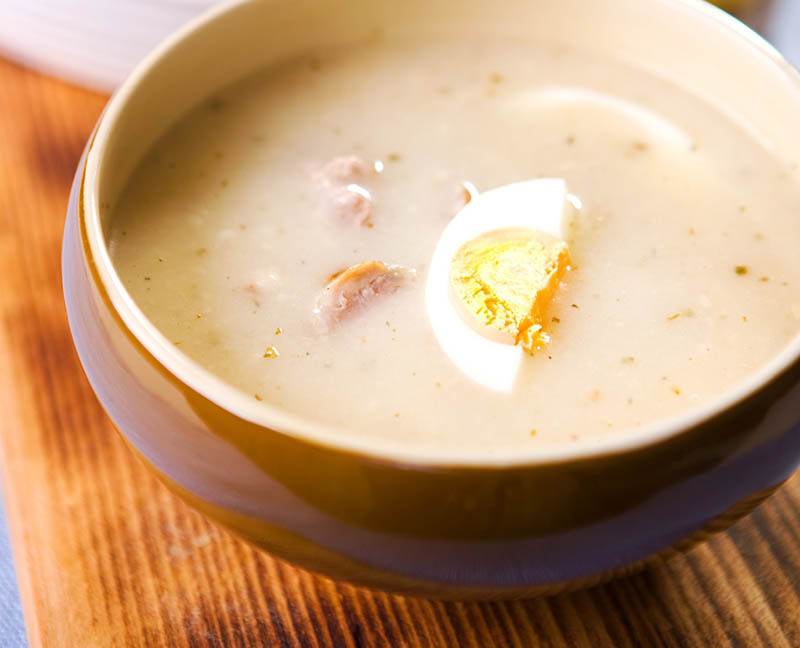 White barszcz is a soup made from soured wheat flour. (The more common rye flour version is called żurek.) The procedure is similar to red barszcz. Wheat flour is fermented in water and mixed with pork stock in a 1:3 proportion. The stock can be made e.g. from ribs, pork chops or sausage, and it is seasoned with garlic, allspice, pepper and bay leaves. Roasted or boiled pork sausage, boiled eggs and diced potatoes are added. Some add marjoram, some shiver at the very thought. Dried mushrooms or sour cream can also be used as finishing touches. While red barszcz is a Christmas staple, white barszcz is usually served on Easter day. It is worth pointing out that what Poles call ‘Ukrainian barszcz’ doesn’t exactly correspond with what Ukrainians call borsht. 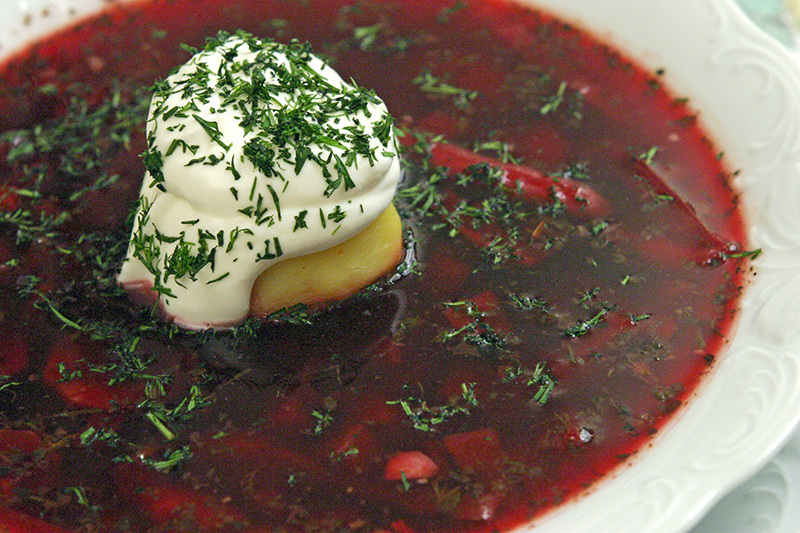 They are similar but in Poland the dish contains beans and potatoes in a beet and vegetable broth, whereas the Ukrainian version generally contains meat or at least a meat-based broth. There are other less common variations of barszcz, many of which spark heated arguments as to the nature of barszcz itself. Sorrel soup is sometimes called green barszcz, although this is controversial. But then again, barszcz is something of a national symbol in Poland, so it is only natural that there would be as many opinions as there are recipes.